Cinco de Mayo is gathering steam as the Southwest’s favorite cultural holiday. Just as St. Patrick’s Day, Oktoberfest, and the Chinese New Year recognize our cultural mosaic, Cinco de Mayo celebrates the contributions of Mexican Americans as well as our own growing relationship with our neighbors south of the border. 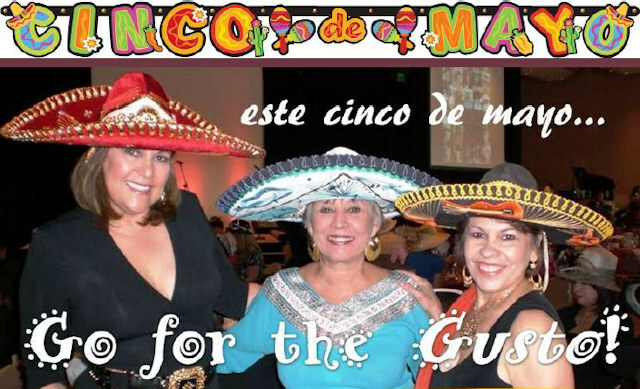 So open up a cold Corona, order up some tacos, listen to some hot Salsa or Mariachi music and celebrate “El Cinco.” Since Latinos are the fastest growing group in America, the fiesta has just begun! Many folks are puzzled why so many Americans celebrate Mexican Independence day. Well, first Mexican Independence day is September 16 and commemorates the end of the Spanish conquest of Mexico. 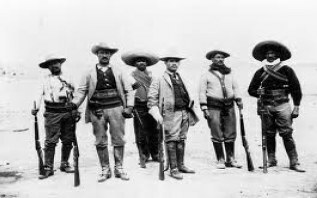 Cinco de Mayo honors the brave Mexican Indians who – outnumbered 2 to 1 – smashed the French army, considered the best in the world… an army that hadn’t been defeated for 50 years. The battle of Puebla in 1862 is hailed as one of history’s most memorable underdog victories. And who doesn’t like championing an underdog? But there is another historical twist, in 1862, the Civil War was raging in the U.S. and historians believe that if the French had Mexico, Napoleon III would have continued supplying troops and arms to the confederate rebels. This would have altered the outcome of the war. In fact, the French had their eyes on Louisiana and wanted to proceed north to reclaim their territory. Now this would have certainly changed the course of American history! Many North Americans are also unaware of the deep collaboration between Mexico and the U.S. Under General Phil Sheridan. Union forces rushed to the Tex/Mex border and supplied weapons and ammunition to continue fighting the French. U.S. soldiers fought mano a mano along side Mexican soldiers. The American Legion of Honor even marched in the Victory Parade in Mexico City. In fact, the close ties between Mexico and the U.S. are evident when noting that General Zaragosa, who commanded the Mexican army at the battle of Puebla, was actually born in Texas! Many people know that fully one third of territorial U.S. – the entire Southwest was part of Mexico until 1848. The traces of our Mexican heritage resound in the Spanish names of our states: Colorado, where rocks are red, Montana, the land of mountains, Arizona, an arid landscape, and Nevada, the place where it snows. And then there is New Mexico, the land of enchantment, a cultural hybrid that integrates Spanish, Mexican, Anglo, and Indian traditions. In addition, our largest state Texas, bountiful California, parts of Wyoming, Kansas and Oklahoma were all part of Mexico. This is the reason that Mexican-Americans compose over 60% of Hispanics in the U.S. today. While there is a lot of controversy about current immigration, it must be remembered many Mexicans-Americans were here before these territories became states. Mexicans laid the foundation for our ranching, mining, and farming economy and gifted us with many traditions that are distinctly southwest. Yes, the Southwest is embedded with a Mexican heritage that echoes our distant past, but is also shaping our future. Did you know that U.S. trade with Mexico and Latin America is greater than that of Europe and Japan combined? Our economic future is tied to the stability and economic development of our neighbors to the south. While America’s multicultural society is a composite of many races, faces, and cultures, our relationship with Mexico has a unique and lasting influence – not only because of our proximity, and our historical ties, but because of the color, vitality, and strength Mexican-Americans bring to our country’s cultural mosaic. Cinco de Mayo reflects America’s ability to embrace diversity and to celebrate the traditions and customs of the many people who make up our great nation. 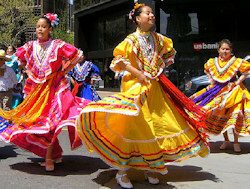 Cinco de Mayo heralds our emerging multicultural and global world.